Kerr Pumps & FlowValve are manufacturers of high pressure piston and plunger pumps. Kerr Pumps produces simplex, duplex, triplex, quintuplex and sextuplex plunger and piston pumps for numerous oilfield and industrial applications. Kerr Pumps designs, produces and tests all its pumps in Sulphur, OK, where it is headquartered. 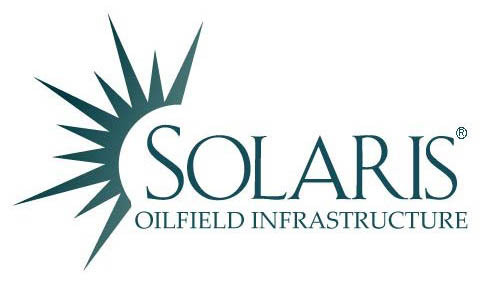 Solaris Oilfield Infrastructure, Inc. manufactures and sells patented mobile proppant management systems to unload, store and deliver proppant at oil and natural gas well sites in the United States. The company’s systems are designed for transferring large quantities of proppant to the well sites. It serves oil and natural gas exploration and production, as well as oilfield service companies. The company was founded in 2014 and is based in Houston, TX. Southwest Oilfield Products, Inc., a returning member company, is an oil and gas equipment manufacturer who provides mud and well servicing pump solutions. Southwest manufactures equipment for their customers’ specific needs and provides repair services and technical support services. Southwest Oilfield Products, Inc. was founded in 1945 and is based in Houston with locations in California, Kansas, Louisiana, Mississippi, New Mexico, North Dakota, Oklahoma, Pennsylvania and Texas. Their international locations are in Singapore and Dubai. If you know of any company that would benefit from PESA membership, please contact Peggy Helfert, Director of Membership Services.